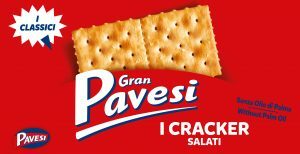 Gran Pavesi is the unmistakable cracker made only with simple ingredients with the guarantee of Pavesi’s experience. 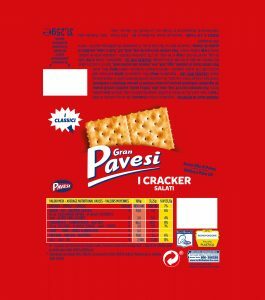 At any time of the day the Gran Pavesi cracker offers a touch of vitality to those looking for something simple and tasty. INGREDIENTS: Wheat flour, soybean oil, barley and maize malt extract, salt 1.8%, acidity regulator: sodium hydrogen carbonate, malted barley flour, yeast. 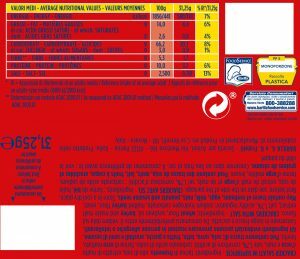 May contain traces of: peanuts, nuts, milk, sesame seeds, soybeans and eggs. Languages on pack: Italian, English, French.